I have previously mentioned about Nam, my colleague in my temporary contract position. Things have been a little slow since I started here and we made small conversations on whatever came in our minds to pass time. We spoke about turmoil in Libya where the long time ruler Gaddafi had just been killed by the rebels. Nam didn't seem much interested. Possibly he figured out I had little sympathy for tyrants. Many Muslims had sympathy for Muslim born tyrants like Gaddafi and Saddam, I didn't. If they were wronged by USA or any other powerful countries they deserved it – that’s my opinion. Anyway, our discussions eventually and almost inevitably turned to USA. I have lived in USA for many years and had mixed feelings. However, Nam seemed to be quite agitated when the topic came up. He has been working as a contractor for several years as well and in his previous job travelled to USA to provide service to the clients of his employer. As we spoke about his experience with the clients in USA he looked annoyed and slightly disturbed. "I tell you, this Americans has no respect for others." He stated. This wasn't something I heard for the first time but I was curious to know what his reason to get to that conclusion was. Everybody who felt that way had their reasons. "What they do?" I innocently asked. "They give me hard time every time I go across the border." He caresses his short beard. "They look at my religion, my beard and decide that I must be planning something sinister. Every time I go. This Americans...!" "What really happened?" I persist. "Did they send you for interrogation? Something like that happened to me once. We had just moved to Canada from USA. We were going back to get some of the stuff that we left behind. The guy at the post sent us to the main building where we queued with hundreds of people and finally they interviewed my wife, not me." I wasn't particularly sour about it. Waiting in the queue to see the agent was painful (I hate waiting like every other North American) but rest went well. After that I never had any particular issue with border agents. I offered the details to Nam to warm him up a little bit so that he would share his story with me. Nam opened up a little more. "See, one of my friends came from Kazakhstan, my country, you remember, and he was staying in Niagara falls. He called me up and asked me to come see him there. In the American side. 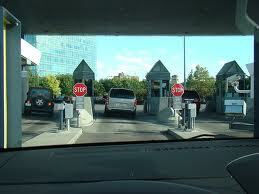 I drove to the Niagara Falls border post and they won't let me in. Can you believe?" "Why not? Just because of the beard?" "Well not really. See, I forgot where my friend was staying. I mean, he told me but I sort of forgot. I kept calling him so that I could get the information from him but he wasn't picking up his phone." "It was dead. He forgot to charge it. We were talking on my way to Niagara Falls and suddenly it went dead. I couldn't reach him anymore. Now, this agent keeps asking me which hotel he was staying. I told him I forgot but I had his cell phone number and once I went in I was going to call him up and find out. He won't listen. He kept on saying he can't let me in unless I can tell them where I was going." "Who else were with you?" "I was going alone. I know, I am a young man travelling alone, don't know where my friend staying - it all look very SUSPICIOUS. But I offered him my cell phone, the call record, all my papers and ids - nothing worked. He won't let me in. Can you believe? I drove two hours from Toronto for nothing." "He called his manager. The manager scrambles through all my documents for half an hour and said exactly what the agent said." "Find out where your friend stays and come back. We'll let you get in." "Now what? What did you do?" "What can I do? I had to turn around. Two hours later my friend calls me and tells me about his cell phone dying. I get his hotel name but I can't go back again. I haven't seen him for five years. I really wanted to meet him. This Americans! I tell you." 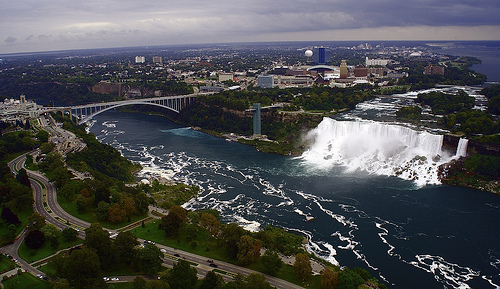 "Why didn't you just wait for a little longer in Niagara Falls?" I inquired. I probably would have done so, hoping my friend to charge his cell phone or find another phone and call me on my cell phone. After all I was coming to see him. "I couldn't." Nam shrugged. "I had to return the car." "Well, my car was having some engine issues. I had to take it to a mechanic. The mechanic said it would take him two more days. So I was driving my friend’s car. He needed the car back before evening. I didn't want to take any risk." I was shocked. "You were driving your friend's car?" "Yeah. And those idiots made a big deal out of that. The agent keeps saying why you are driving your friend's car? Where is your friend? I said, what do you mean? I can't drive my friend's car? If he let me drive his car why you care?" It took me a few moments to take in this new information. Finally I summarized," So, you are a young Muslim bearded man, driving a car that was owned by one of your friends, trying to go through the border post to see a Muslim friend and you didn't know where he was staying." "Big deal. I told them - why would I lie? I gave them all my papers. I drove four hours for nothing. I hate to go there. Racists!" I exhale quietly. I like Nam. I don't want to risk alienating him. I move my head in a way that neither qualifies as a nod nor as a shake. Shared it with many of my friends. Really liked the style. More like this. I guess we need to do our part as well before blaming others. Well written. I couldn't help not feeling sorry for Nam but he should have known better.